We offer a variety of cyclic testing services for examining equipment, products, devices, and components. Our load testing capabilities may be applied in a cyclic manner to assess fatigue behavior, vibration loading, fracture mechanics, damage tolerance and failure mechanisms. We also have the capacity to combine fatigue with other factors, such as bending, internal pressure, temperature, and chemical exposure to assess their combined effects. 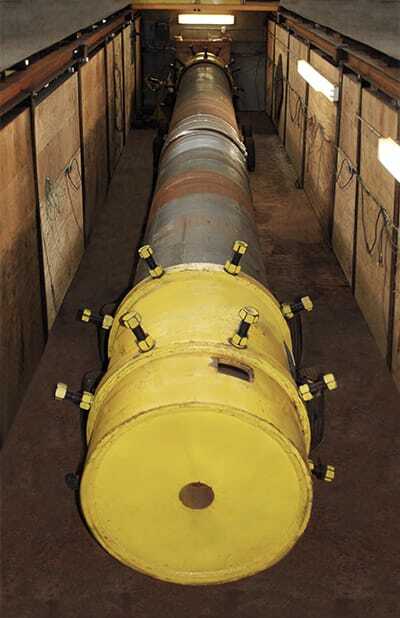 Stress Engineering Services is a renowned leader in high-speed fatigue testing of full-scale pipe samples to verify fatigue resistance of connectors, girth welds, pipe metal, and more. These tests involve applying sinusoidal alternating bending stresses around the entire pipe circumference to stimulate the pipe specimen near its resonant bending frequency. 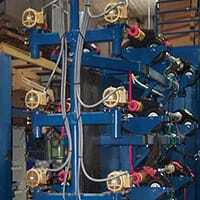 By internally pressurizing the test sample, a mean axial stress can also be supplied.